YouTube to iTunes Guide – Download Convert YouTube Music/Videos to iTunes (12.8) on Mac/PC. 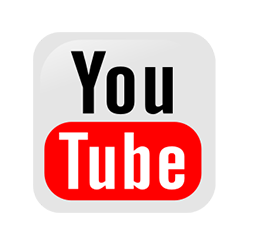 YouTube, the biggest video sharing website in the world, brings people so much happiness with various quality videos and audios; and iTunes, a widely-used media player application, offers us great convenience and enjoyment. As long as we are able to add YouTube videos audios to iTunes library, it will be a piece of cake for us to appreciate those resources offline anytime anywhere. However, to convert YouTube to iTunes can be a pain. In simple terms, we are faced with two difficulties: first, YouTube videos audios couldn't be downloaded directly unless you are a "red subscriber". Secondly, iTunes is only compatible with limited formats like MP3, MP4, etc. Say, even if you are a "red", it still costs you a lot of time to download them, especially for HD videos. Therefore, to put YouTube videos to iTunes sound and rapid on Mac, a professional tool is in need, that is, a YouTube to iTunes converter. And this article will discuss how to download and convert YouTube music/videos to iTunes (12.8) on Mac/PC using the best YouTube to iTunes converter. How to Convert YouTube to iTunes on Mac/PC? Download and convert any YouTube music/videos to iTunes (12.8) on macOS Mojave and Windows (10) hassle-free. iTunes boasts its power to play and manage digital audio and video files, but limits compatible video formats. Before converting YouTube to iTunes, we should have a brief knowledge of the file formats iTunes supports. • H.264: up to 768 kbits/sec, 320x240, 30 frames per second (fps), Baseline Profile up to Level 1.3 with AAC-LC audio up to 160 kbits/sec, 48 Khz, and stereo audio. 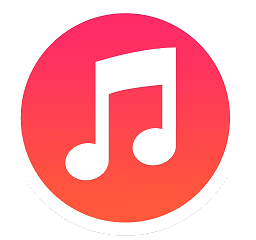 iTunes is available to play the following 5 audio formats, MP3, AIFF, WAV, AAC and Apple Lossless (.m4a). The Windows version of iTunes gives an option to convert DRM-free WAV files to other supported formats but cannot play WAV files directly. It is explicit that we cannot directly download music or videos from YouTube to iTunes. But the YouTube to iTunes converter points out a shortcut helping us listen to/watch any favorite YouTube music and videos on iTunes without hassle. WinX HD Video Converter for Mac, the all-in-one online video downloader and converter, is the best choice. This YouTube to iTunes converter allows users to download SD/HD/4K/8K videos from YouTube, Vimeo, Dailymotion, Facebook, Vevo, MTV, Billboard etc, (300+ in total) and convert to iTunes (12.8), Apple devices (like iPhone, iPad, Apple TV), Android, Windows Phone, Xbox, PS3/4 etc, with high quality. Also, it can download and convert YouTube music/movie soundtacks to MP3, AAC, AIFF etc, for audio playback on iTunes. As a solid (online) video converter, WinX HD Video Converter for Mac has won a lot of dedicated fans all over the world. People call it "the fastest video converter". This is not an exaggeration because it does live up to the name by converting any video with 5X faster speed than other software, which makes it possible to convert a feature length movie in 12 – 15 minutes. But the No.1 speed is only one of the strengths of this YouTube to iTunes converter for Mac. Other praiseworthy features like converting HD UHD videos including MKV, M2TS, MTS, 1080P, 4K/8K, etc. without any quality loss, the rich preset output formats that can be played on various devices and applications such as iTunes, iPad, iPhone, Samsung and its compatibility with all Mac systems, including latest macOS Mojave are all responsible for its popularity. Download and install WinX HD Video Converter for Mac on your Mac and follow the guide to download and convert YouTube music/videos to iTunes (12.8) step-by-step. Tip: To convert YouTube to iTunes (12.8) on Windows (10) PC, please switch to WinX HD Video Converter Deluxe. 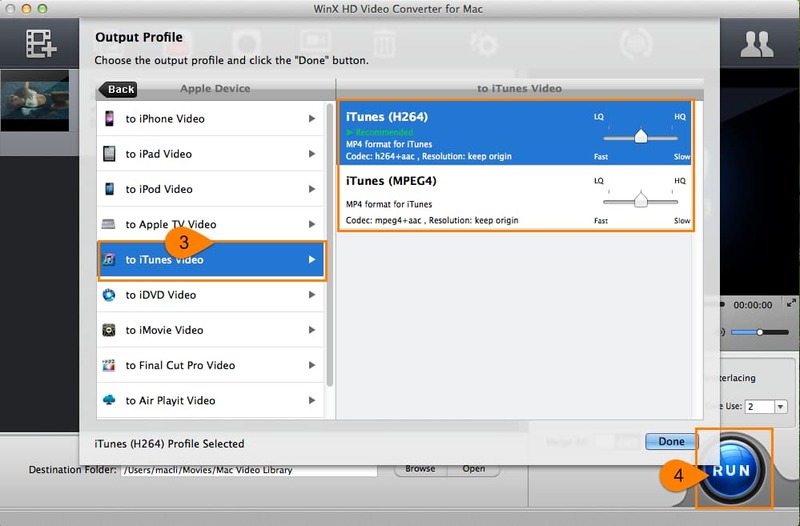 Launch WinX HD Video Converter for Mac and click YouTube URL on navigation bar. Get YouTube URL of video you want to download to iTunes. Copy and paste it to address bar of pop-up window. Click Analyze button and the list of video versions varying from resolution, format, size and codec. Select one version, for example 1920x1080 MP4. Take a look at the 'Auto add to convert list' module. Check it. Otherwise, the video will be free downloaded only. Then, click Download now button. Once the video is completed downloading and added to convert list, the Output Profile window appears. Move to Apple Device category and click 'to iTunes Video'. Select iTunes (H264/MPEG-4) as output profile. If you want to convert YouTube music to iTunes audios, click 'to Music' option from output profile category column and select AAC or other audio formats iTunes supports. 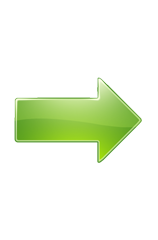 Click Browse button to set destination folder and hit RUN button to convert YouTube to iTunes. After the conversion process is finished, open iTunes and click iTunes menu (for Mac) or File menu (for Windows). Select Add File to Library to import the converted YouTube music/video from destination folder to iTunes. • Free download SD/HD/4K/8K videos/movies in MP4/FLV/WebM/3GP from YouTube, Vimeo, Dailymotion, Metacafe and other 300+ video sites in a flash. • Convert YouTube or other online videos to MP4, MOV, WMV, AVI, FLV, MP3, FLAC, iTunes, iPhone, iPad, Android, Windows 10 Mobile, Xbox, PS3/4, Kindle Fire and more with crisp images and hi-fi audios.